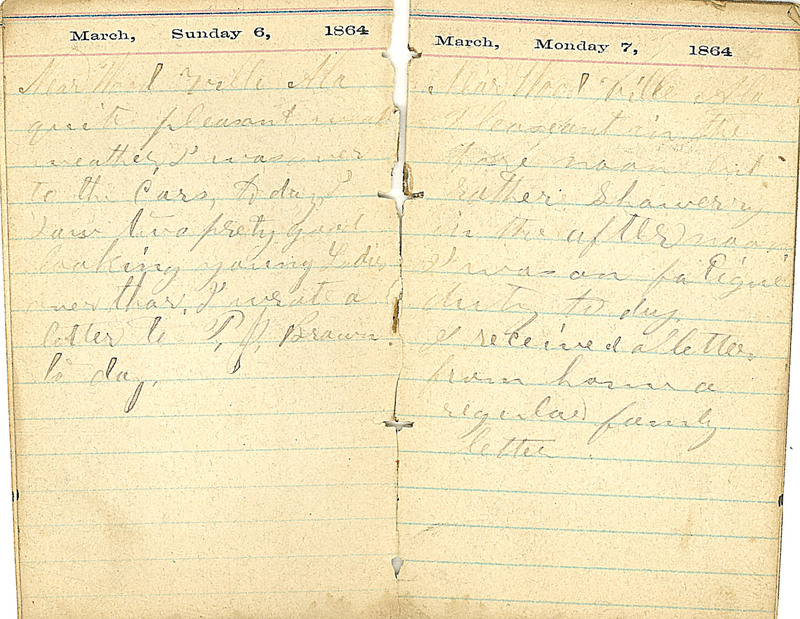 March, Sunday 6, 1864 Near Wood ville Ala quite pleasant weather I was over to the Cars, today, I saw two prety good looking young Ladies over thar. I wrote a letter to P.J. Brown to day. March, Monday 7, 1864 Near Wood ville Ala Pleaseant in the fore noon but rather Showerry in the afternoon. I was on fatigue duty to day. I received aletter from home a regular family letter.